What happened to conscious hip hop? When was the last time you heard an emcee spend time on a record encouraging the economic, political and intellectual growth of the people? Producer and emcee Dume41 misses it too, which is why he couldn’t turn his back on the true school boom bap aesthetic he grew up on. 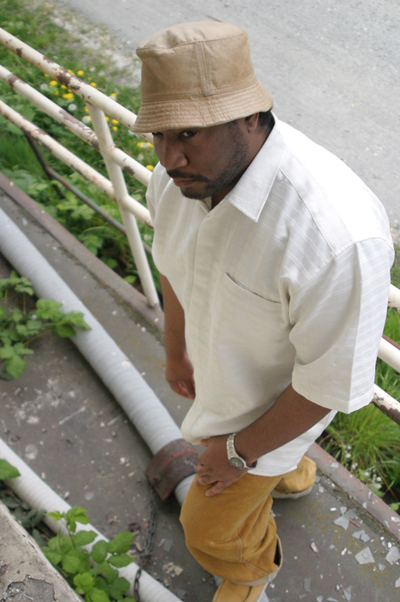 Enlisting the help of the "Holy Ghost of Northwest Hip Hop" Specs One for two energetic appearances on the microphone and Seattle’s own deck masters, The Elefaders for all turntable work, Dume releases his thirteen track opus, "God Save The King." Production is handled by Dume himself, with three tracks produced by long time collaborator RokSoulo. In keeping the guest appearances to a minimum, Dume leaves room to write coherent songs that consistently deliver topical content. The album, stocked full of grime , chopped phrases and moving melodies, is available now. Dume has been working on his new album, Plus Degree Solar for two years. It’s nearing completion and will be released soon. Dume produces, records, mixes and masters hip hop music at his lab The Legion of Dume.